Sizzix Die Cutting Inspiration and Tips: We have moved! 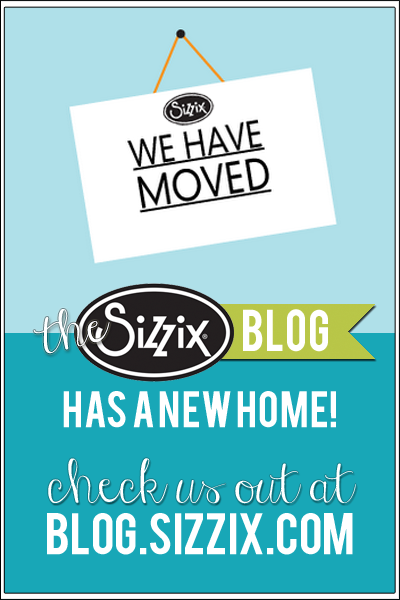 The Sizzix blog has moved! 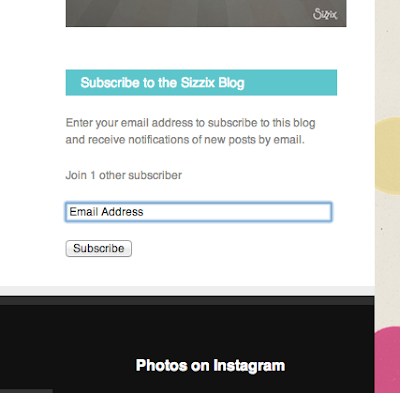 We are now blogging at http://blog.sizzix.com/. If you have this site bookmarked, please take a moment to update your bookmark with our new address. We don't want you to miss a thing! If you subscribe to this blog by email, be sure to subscribe to the new blog. You will find a sign up box on the right side, just above our Instagram photos. We are not able to move the old subscription list so you will need to sign up again. We have tons of new features and categories and new things planned in our new home. We hope you will love it as much as we do! Congrat on your new Blog...I subscribed to this by e-mail in case the old e-mail list did not carry over from the old blog. Looking forward to future blog entries. Saludos. Gracias por sus ideas. I am sorry you have changed the blog. I like this format better so much easier to read. I miss the designer links on the left hand side and the link to the UK blog. The new format there is too much to navigate and too much having to click on posts to read it and too hard to remember the blog name. I don't read by email, I don't want more stuff coming into my inbox. Just my opinion as a daily reader, not a happy reader now. Thank you so much for your feedback Jacquelene! I have shared them with our staff and we will be working to make adjustments to the new blog to make it the best experience possible for our readers. I don't want you to miss a single bit of Sizzix inspiration so feel free to continue sharing your thoughts with us on how we can make it better. Thank you for your response Tammy, that helps me feel a little better. The links to the design team and the licensed designers and the link to the UK Blog are important to me. When a designer posts something really interesting to me I go to their blog and see what else they are doing. That is how I found your blog and Vivian K and so many others. The latest and greatest and geared to IPads and smartphones is not always the best way to go. Not everyone has those devices or a touch screen. I am not a techy person that is why I love my bigshot, it isn't electronic, it doesn't make noise, it cuts like butter, I don't have to buy sticky mats or cutting blades, I don't need electricity to use it, it's easy to use and it makes me happy and it's the best manual machine I have ever owned. I also felt similar about this blog format, it is easy to use, the links I needed are on the sidebar, and I can scroll through the posts and save posts I want to my favourites, easy peasy. The sizzix blog was my first visit of my daily with coffee routine, I have discovered some amazing artist through this blog, people I would never have known about, and learned awesome mixed media and die cutting techniques. This blog is important to me. Thanks again for your feedback. It is definitely a work in progress so look for more adjustments to come!